Disclosure: I received these products complimentary from Influenster for testing purposes. All opinions are mine alone. There's nothing like getting a box of goodies in the mail to make a new mama feel pampered, eh? 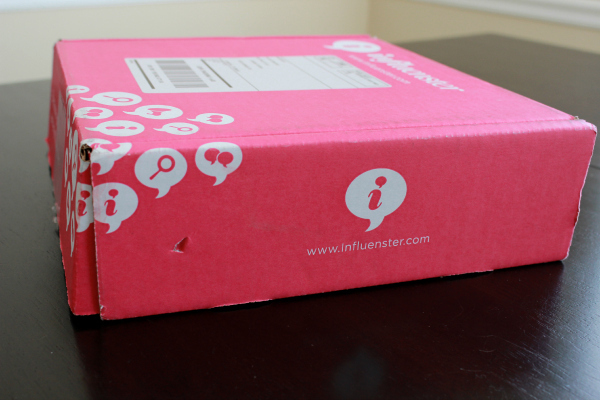 Influenster sent me their latest box, and now that I've had two weeks to use the products, I can tell you which items got two thumbs up and which items didn't. In no particular order, here they are. Skinfix: This hand cream couldn't have come at a better time. One week before Presley was born, Memphis got a true taste of winter with low temps (9 degrees at night! ), rain, and snow. Add the constant handwashing that we do in this house, and we're left with some pretty rough looking skin. Skin on one of my knuckles split open, because it was so dry! When I first applied Skinfix, I didn't think it would live up to the name. It felt too light to fully moisturize dry skin, but I was wrong. It clings to the skin just enough without feeling greasy. I love this stuff. Verdict: Love it! This is something I'd purchase and keep in my purse and/or in my desk at work. Tide Pods + Febreze: We used to be a strictly Tide household until we switched over to soap nuts and Seventh Generation Free & Clear. Tide never failed us, but we made the switch in an effort to cut down on chemicals in the house. That is not to say that we are terribly strict about being chemical-free; rather, we do what we can where we can. Every little bit counts. That being said, I knew Tide Pods wouldn't disappoint. 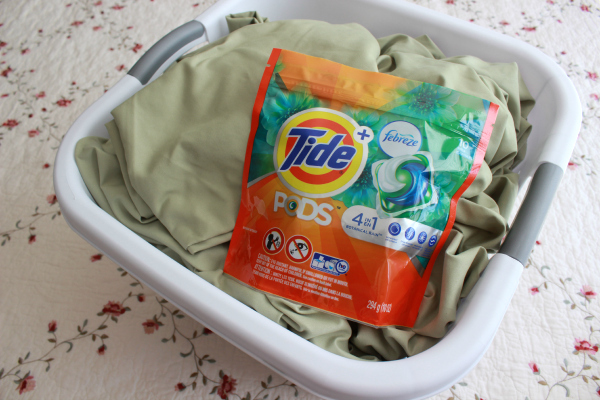 Because we're used to scent-free laundry, I chose to use the pods on our guestroom bedding and guest towels -- which was a good call. I am not a fan of the Botanical Rain Febreze scent, at least not straight out of the dryer. It smelled better (meaning softer and more pleasant) the next day. Colgate Optic White Toothpaste, Toothbrush, and Whitening Pen: Three people I've worked with in the past have nicknamed me Colgate. I've been told over and over again since high school that my best physical feature is my smile. (Thanks for the braces, Mom and Dad!) Like the laundry situation, I've stuck to a "free and clear" dental hygiene regimen for years. Tubes of toothpaste are used for travel or staying at someone else's home. 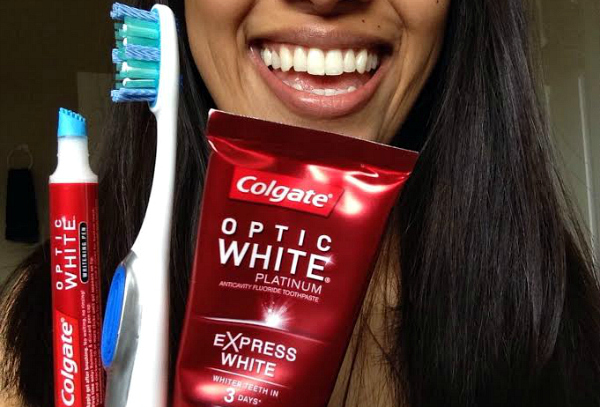 I had to try this Optic White system since it promised to whiten teeth in three days. The last time I whitened my teeth was right before my wedding. (It was a gift from my dentist!) It's a three-part system: the toothpaste, the toothbrush, and a whitening gel pen that fits inside the toothbrush. Although it was subtle, I will admit that my teeth were whiter after three days! The one thing I did not like was the toothbrush. It has rubbery "polishing bristles"which I did not like the feel of. Verdict: I see these products as "special occasion" products, like whitening teeth for a wedding. My personal teeth-cleaning regimen has served me well for seven years (no cavities! breaks up stains! ), and it's much cheaper. 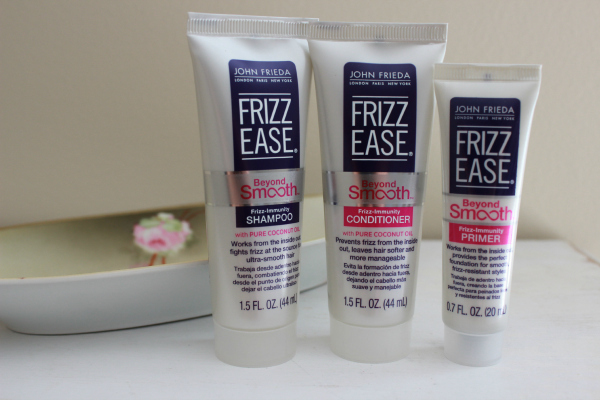 John Frieda Frizz Ease Beyond Smooth Shampoo, Conditioner, and Primer: I have used the Frizz Ease Clearly Defined gel for nine years. Nothing tames my frizz and holds my waves better, and it's so good for the price. I've also used the serums. I really like the Beyond Smooth products. They smell nice, and they leave my hair feeling silky and soft without feeling weighed down (which other frizz-taming products have done for me). 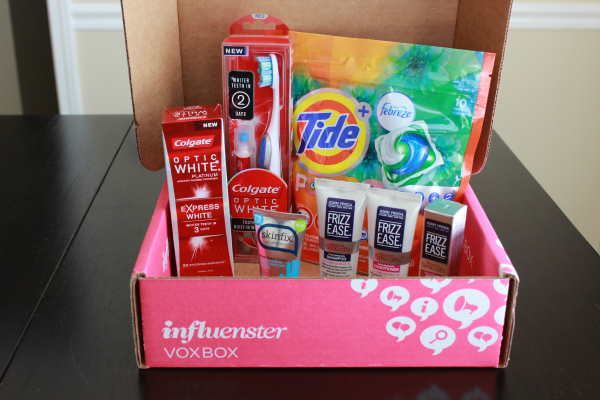 Thanks for sending the #XOVoxBox to me, Influenster!